Parkrun organise free, weekly, 5km timed runs around the world. 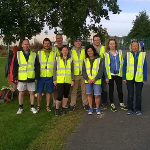 In Dundalk, the Parkrun takes place each Saturday Morning at 9.30am.It is open to everyone, and run by volunteers. Volunteers help out as Marshals, Timekeepers, Barcode Scanners, Photographers and Website Maintenance. 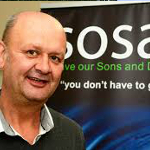 SOSAD (Save Our Sons And Daughters) is an organisation that aims to raise awareness of suicide provide support and direction to those feeling suicidal and those affected by suicide. There are a variety of important volunteer roles in all of SOSAD's branches: administrative support, assessors, counsellors and suicide intervention officers. DDS4OP provide support for the health, safety, wellbeing and community involvement of older people residing in Drogheda and the surrounding area. Volunteers are required for home visits, computer classes, English classes, Care and Repair and the Good Morning Drogheda phone service. Volunteering is about giving your time to a good cause. It doesn't involve any payment, but you do get the chance to use your talents, develop new skills, and experience the pleasure that comes from making a real difference to other people's lives, as well as your own. Anyone. Whatever your age, background or work experience, you will have a skill that someone needs. No matter how busy you are, there will be something that you can do. It can be trickier to find volunteer roles if you are under 16, but not impossible. Just ask us. Anything. (Almost.) There are over 100 different volunteer roles available in Louth alone. You might be interested in working with people or perhaps you’d be happier behind the scenes, volunteering from home or something outdoors. Whichever it is, there is something for you! All of the available opportunities are on this website. Just use our search tool. You will be directed to the I-VOL search engine - that's where the opportunities from all Volunteer Centres are kept. You will be able to find details of volunteer roles from all over the country. But if you're looking for something close to home, then be sure to enter your nearest city, town or village. Once you have found something that you like, you can apply by simply entering your email address. Our service is free and there is no expectation on any person accessing the service to become involved in any volunteering. By registering your details with us, you are letting us know that you are interested in volunteering and we will keep you up to date with whats going on.